Nadkarni, Nalini M. (1981), « Canopy Roots: Convergent Evolution in Rainforest Nutrient Cycles », Science, vol 214, pp. 1023-1024. Nadkarni Nalini M. (2004), « Not preaching to the choir: communicating the importance of forest conservation to nontraditional audiences », Conservation Biology, vol 18, pp. 602-603. Nadkarni Nalini M. (2006), « The Moss-in-Prison Project: disseminating science beyond academia », Frontiers in Ecology and Environment, vol 4, pp. 442-443. Nerha, Shikha (2011), «Nalini Nadkarnis Sustainable Prison Project: Bringing Life back into Prisons! », Youth Leader Magazine. 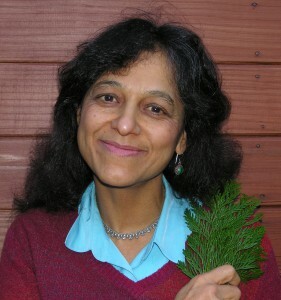 Nadkarni, Nalini M. (2010), « Conserving the Canopy », conférence Ted-Talk. Nadkarni, Nalini M. (2010), « Life Science in Prison », conférence Ted-Talk. Citoyennes de la Terre de Joanne Clavelest sous une licence Licence Creative Commons Attribution 4.0 International, sauf indication contraire.